Ruby red, faded rim. 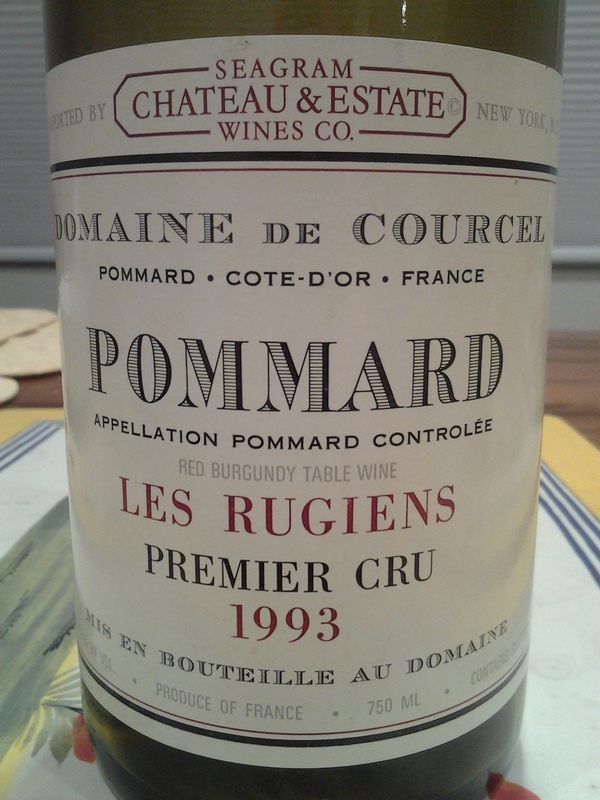 Carnal, nocturnal nose with a cherry-menthol glaze: marrow-rich reds and blacks, metal, gibier, old violets, limestone. A slurried, iron-ore texture. Fullish and grainy on the palate, medium-full: cassis, red raspberry, myrtille rôti. No longer the anvil opacity and formidable density of its youth: this de Courcel has been pounded out over twenty years into something more tapered. Tertiary, marl and rust finish. Flavorsome, detailed Rugiens. Now – 2020+.